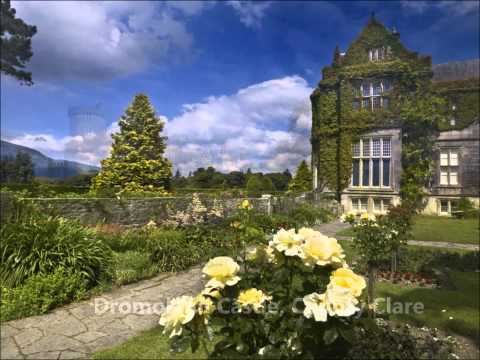 Location Killarney is now Ireland's most popular tourist destination and has an impressive range of attractions to support its world famous claim. Firstly there is the spectacular scenery where lakes, mountains, waterfalls and parkland blend into a majestic pastoral tapestry. Then there is the town, bustling with energy with its shops, pubs and lively entertainment. Finally, the choice of organised activities will ensure there is never a dull moment during your stay in Killarney. Golf, fishing, horse riding, hill walking, cycling, boat trips, jaunting cars, coach tours... the list of activities is endless. Rooms The Castlerosse Hotel Killarney offers its guests a warm and personal welcome. Avail of superb accommodation at its Lakes of Killarney location. The hotel has 121 guest bedrooms all ensuite with multichannel T.V., tea and coffee making facility. There is a choice of double or twin bedrooms and family rooms which sleep up to 5 persons. There is a small supplement for bedrooms with lake and mountain view. Restaurant The Grosvenor Restaurant at the Castlerosse Hotel overlooks the Lower Lake and has magnificent views of the Magillicuddy Reeks, Irelands highest mountain range. A lavish buffet breakfast is served here each morning 7.30 to 10.30 am while dinner service is from 6.30 to 9.00 pm. each evening. Lounge/Bar Mulligans is a traditional Irish pub within the hotel which provides a convivial atmosphere for a drink, a snack or a light meal. It overlooks the golf course and Lower Lake. Pub menu and snack service is available 12.00 noon to 7.00 pm each day. Mulligans is a very popular evening venue with live entertainment most nights. Spa/Leisure Facilities The Health and Leisure Club is managed by fully qualified and helpful instructors, and is free to all hotel and self-catering guests......have a swim, a jacuzzi, or a soothing massage. The Club features a 20 metre pool, gymnasium, jacuzzi, steamroom and saunas and is efficiently managed by our trained and friendly instructors. A supervised fitness programme which includes personalised assessment, gym, aerobics, aqua aerobics, swimming and massage is available. Golf The Castlerosse Golf Course is a 9 hole, par 36 parkland course with majestic views across Killarney's Lower Lake and the Magillicuddy Reeks, Ireland's highest mountains.